Sims who love history and love digging in the dirt find a fortunate confluence of these passions in Archaeology. This skill will reward you with knowledge, and fabulous artifacts to decorate the house. 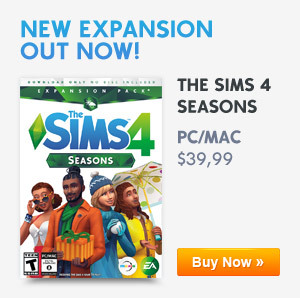 The Archaeology Skill is only available when you have The Sims 4 Jungle Adventure. Every Archaeologist needs a dependable Archaeology Work Bench to work on. This handy work bench allows a Sim Uncover Artifacts from clumps of dirt. They then can Authenticate those artifacts to determine their rarity. In the Jungle you can find Dig Piles or Excavation Sites to level up your archaeology. Use the archaeology work bench to uncover and authenticate artifacts. After level 9 your Sims will also receive a request from the Archaeology Institute to authenticate artifacts. What can you find in dig piles and excavation sites? 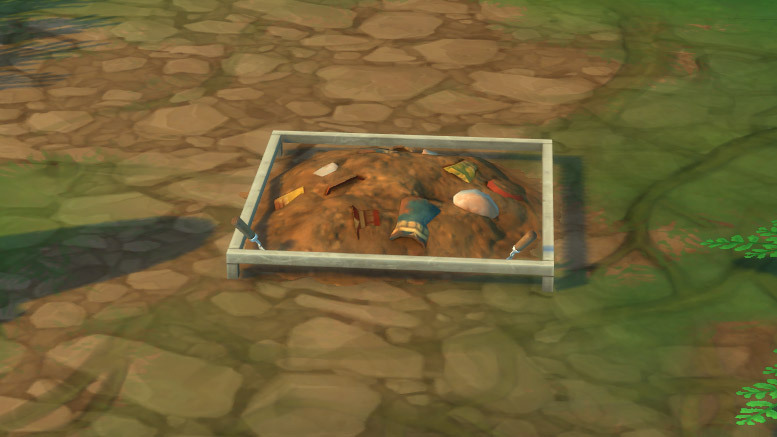 Clumps of Dirt may look unexciting, but with the help of a archaeology work bench a Sim can find the artifact within. If you find bone dust make sure to keep it. Bone dust can be traded to Selvadoradians for powerful poison antidotes. When an artifact is fully authenticated the Sim can still Analyze the collectible for fun and archaeology skill! What are the differences between a Dig Pile and an Excavation Site? 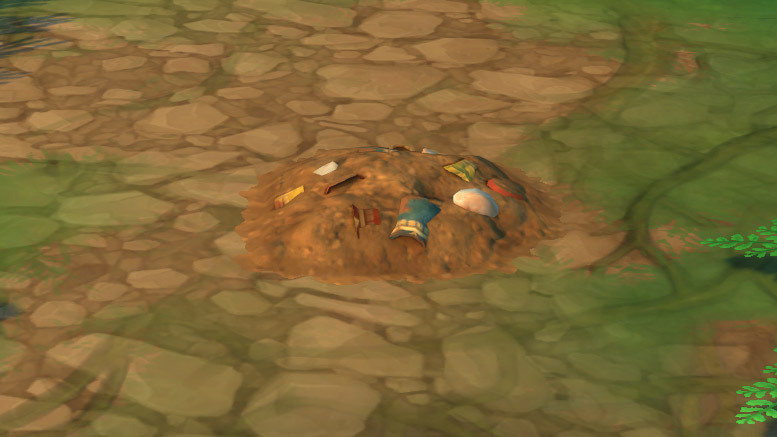 A dig pile can only be used by one Sim and will have less objects to be found before it disappears. Excavation sites allow up to four Sims to dig at once. These sites also allow archaeologists to dig up more artifacts than a standard dig pile. When you found a dig site you can either Excavate it or you can Establish Excavation Site to obtain more materials from it. To upgrade dig piles you need to be level 6 in Archaeology. Click on the dirt pile and choose ‘Establish Excavation Site’. Retrieve artifacts from dig piles or excavation sites. Your Sims can now study art and artifacts to improve their Archaeology skill. The ability to uncover artifacts on the archaeology work bench. Your Sim can now survey for dig piles in the jungle. Analyze genuine artifacts, treasures, fossils and extract elements from metals and crystals. Find more artifacts from dig piles by turning them to excavation sites. Refine crystals. You can use these crystals to create powerful relics. Share archaeology expertise with other Sims by writing an archaeology book on the computer. Look for packages in the mail from Sir Vincent and the Simsonian Institute asking for help authenticating artifacts. Your Sims can give other Sims an archaeology lecture. It also enhances your ability to find high quality artifacts greatly. After reaching level 9 with the archaeology skill, the Archaeology Institute will sometimes send you a request to authenticate artifacts. They will send them to your mailbox. Use the Archaeology Work Bench to complete this request and send it back to receive a fee.